Dante Law Firm | Millions Recovered. FREE Consultation, (305) 949-2526. Personal Injury Attorney Fort Lauderdale. Fort Lauderdale Injury Lawyer. Fort Lauderdale Personal Injury Lawyer. Fort Lauderdale Personal Injury Attorney. Accident Lawyer Fort Lauderdale. Florida Personal Injury Law Firm. When an accident happens in the City of Fort Lauderdale and threatens your future–and your life, it is important to know that you are not alone. Victims who have been injured through the negligence of another person or entity have legal rights to seek compensation for their injuries and for damages. While no amount of compensation will ever undo the pain you have gone through, it will ensure that you and your family have the resources you need to put your lives back together again. When the unthinkable happens, do you know where to turn for help? Personal injury accidents occur every day in Fort Lauderdale, Miami Gardens, North Miami Beach, Boca Raton, Pompano Beach and Plantation. From car accidents, slip and fall accidents, motorcycle accidents, bicycle accidents, pedestrian accidents, work related accidents, to catastrophic large truck accidents and wrongful death. These accidents occur 24/7/365, all the time. Victims who are injured in an accident are often too busy, trying recovery from the accident and do not consider all the financial issues that arise from having an accident and how much money they might be entitled to in compensation. At the Dante Law Firm, P.A., we fight aggressively for the injured, so they can focus on the only thing that matters–their recovery. Our experienced Fort Lauderdale personal injury lawyers will negotiate with insurance companies, file lawsuits on your behalf, and investigate your accident closely to establish a clear chain of liability. In doing so, we are able to quickly secure the maximum compensation for our clients. Unfortunately, insurance companies don’t want you to obtain a lawyer–because they know that you will usually settle quicker and for less money without one. As such, they may pressure you into signing a quick settlement, sometimes resorting to devious and deceptive tactics. When this occurs, do not sign anything before calling our office and speaking to an experienced and skilled personal injury lawyer. Sadly, there are times when an accident leads to the death of a loved one. When this occurs, grieving families often struggle with medical bills, the loss of a financial provider, and the absence of a future with that loved one. During this highly emotional and difficult time, it helps to have an advocate on your side who can help you look towards the future and hold the negligent parties responsible for your loved one’s death. Though no amount of compensation could ever replace your loss, it can help to ensure that you and your children are provided for in their absence. 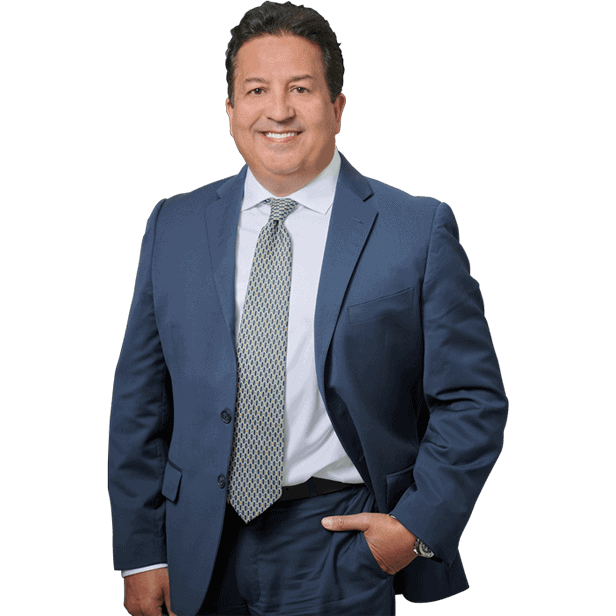 Mr. Dante is a member of the Broward County Bar Association and is an experienced trial attorney who defends the rights of the victims. We handle all of our Fort Lauderdale personal injury cases on a contingency fee basis, which means we are not paid unless we recover compensation for you. It really is that simple. We are paid from the monies received in the settlement, not upfront like other law firms. By working on a contingency basis, we allow you to keep your family’s financial resources to pay mortgages, utilities, and the expenses of daily living, while we take care of the costs of litigating, negotiating, and mediation. Once we have won your settlement, we collect a percentage of the winnings. If you or someone you love has been injured in an accident in Fort Lauderdale, or anywhere in the State of Florida, you need an experienced Fort Lauderdale personal injury lawyer on your side. Contact the Dante Law Firm, P.A. to learn more about all of your legal options. With an office conveniently located in North Miami Beach, Victor Dante represents accident victims throughout the state of Florida. If you have been in a serious accident contact our Fort Lauderdale Personal Injury Lawyer and Accident Attorney Victor Dante – the CONSULTATION IS FREE OF CHARGE.